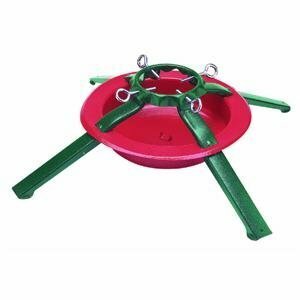 Jack Post National Holiday Traditions Red and Green Metal Tree Stand - Trees Up To 8 Feet Tall by Jack Post at 4 The Fort. MPN: 5180. Hurry! Limited time offer. Offer valid only while supplies last. 4 legs, powder coated red and green. 4 legs, powder coated red and green. Steel.